We provide high quality, affordable Solar PV & energy efficiency solutions for the residential & commercial buildings across the country. Family Business of 31 years. - Specialise in the installation and maintenance of Solar PV systems. 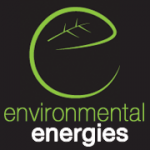 Environmental Energies is the leading renewable energy solution company in the UK. Next Generation Renewable Energy are MCS accredited in solar thermal, PV and heat pumps. Supply and fit of Solar PV . Roof Faces East West. Pitched and newly tiled. No Shading. Timescale ASAP. Contact anytime. roof facing: South-west. Pitched and slated. No shading and no windows. open to advice on what system is best. install ASAP. Contact anytime. Solar PV. Unsure on the direction of the roof, pitched and tiled. No shading and no windows. Size system - open to advise. Work timescale ASAP. Contact anytime. Roof: South West facing. Pitched and tiled. No shading. No windows on roof. Install within 3 months. Contact anytime. Check solar system installed 9 years ago. Tripping out and electric shocks felt on roof where panels are installed. Contact anytime. Require annual service to Kingspan cylinder. Contact between 12pm and 5pm. Roof: unknown. Pitched and tiled. No shading. No windows on the roof. Install asap. Contact anytime. Solar Pv: Roof Faces South Pitched and tiled. No shading. Timescale within 1 months. Contact anytime. Current PV system: 4kw. Current Inverter: Unsure of make/model. Open to advice on the location of the new battery. Install within 1 month. Contact anytime. Roof: South facing. Pitched and tiled. No shading. No windows. Open to advice on the size of the system. Install within 1 year. Contact between 12pm - 5pm. Customer requires a service of his existing solar thermal system. Current System: Unsure of size. Service within 1 month. Contact anytime. Roof direction not known. Pitched & tiled. No shading. no windows. Open to suggestions regarding system size. Install: within 1 month. Contact: anytime. South facing roof. Pitched & tiled. No shading. No windows. Open to suggestions regarding system size. Install: within 3 months. Contact: anytime. Not sure of roof direction. Pitched & tiled. No shading. No windows. Open to suggestions regarding system size. Install: within 6 months. Contact: anytime. Current PV system: 4kw. Current Inverter: AFORE HNS 1000TL. Unsure where to install the battery. Install within 1 month. Contact anytime. Quotes for Supply and fit of Solar PV. Roof Faces South. Pitched and tiled. No shading. Advice on size of system. Timescale within 6 months. Contact anytime. Service of panels and system. Call anytime.